Power bases, or as some call them adjustable beds, have evolved and are no longer only found in hospital rooms. They have become a huge favourite and continue to impress with their sleep-altering experience technology. While power bases are the obvious choice for snorers, fussy sleepers and couples, what mattress type pairs well with this revolutionary technology? Memory foam is the perfect addition to the power base bed frame. Let’s review why. An adjustable base is only as effective as the mattress we place on it. While a power base bed frame can bend to your every whim, the mattress surface has to move freely as well. Memory foam mattresses offer the most versatility, flexibility, comfort, support and durability of any other mattress type. 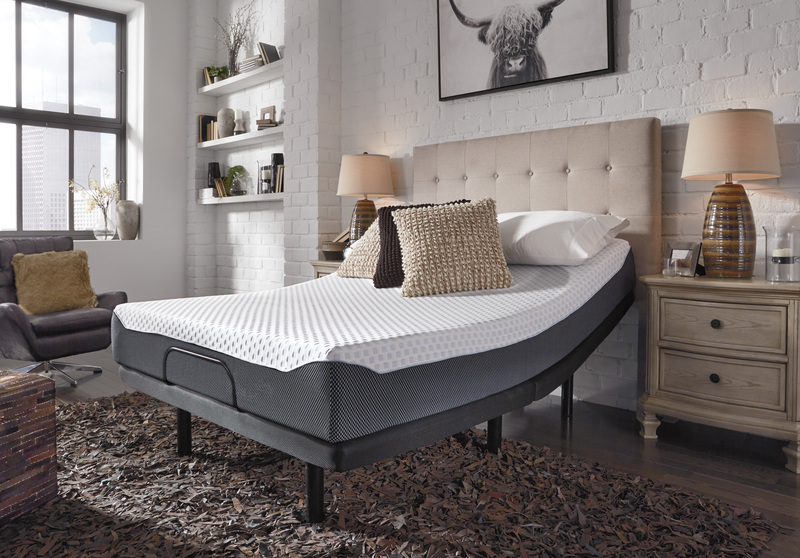 Memory foam has become, in recent years, an incredibly popular mattress for adjustable bases because of its flexibility and unmatched pressure relief. A memory foam mattress selectively displaces pressure along the length of the sleeper’s body and is absolutely complimented by the range of motion provided by the adjustable bed base. As the power base bends, a foam mattress will effortlessly move along with it. This makes the transition from lying down to an upright position a seamless and controlled experience. Memory foam mattresses are sold in a variety of densities and can be personalized to match our needs. The two most important factors when considering a foam mattress’s durability are the layers and the density. Typically, a foam mattress will have a top layer for comfort, a middle layer for support and, the base layer for durability. Price will determine how many layers there are, and the quality of the base layer ultimately determining its durability. The foam density is determined by weight so it will be easy to confirm just by lifting it if purchasing from a showroom. A high-density foam will weigh about 5lbs or more per cubic foot while a low-density 3.5lbs or less. For durability, we want to see a good strong and heavy base foam to withstand the test of time from constant adjustments on the power base bed frame. There is this assumption floating around that memory foam mattresses let our bodies overheat as we sink into them. This couldn’t be further from the truth. Modern memory foam mattresses vent away warm air and are mostly made using moisture-wicking fabrics and gels. So as the temperature increases, a memory foam mattress will become softer, activating its cooling properties. These materials are perfect for an adjustable base as they can stretch and always return to their original shape. If a personalized and controlled sleep experience is what you are looking for, then you should be considering the unique technologies of memory foam coupled with a great power base. These innovative products were developed at different times for different reasons but joining them is just pure genius. Purchasing a mattress is definitely not a “one-size fits all” experience, but a very personal one. Finding that perfect fit in a memory foam mattress, considering layers, type of foam and density factor can be a match made in heaven.